This is meant to be a light hearted post and not meant to offend, however these are my genuine gripes with living in France! I did write a post where I listed all the amazing things about living in France, you can see it here! There is a lot of bureaucracy surrounding renting a property, it is VERY hard to do unless you have a French guarantor to co-sign for you. On top of that, there is a couple of centralised websites for finding an apartment but often you will need to go to a local estate agent (who you will have to pay for). Once you are in the apartment there is even more bureaucratic potential barriers. Plus you will probably be disadvantaged as some people will try to exploit you because you are international. The fact that I was an international woman also didn't help- my landlord once shook my boyfriend's hand and directed the whole conversation at him without looking at me, despite my boyfriend saying that he was only here for the weekend and to speak to me. Although living in a different culture was such an enriching experience it can get a little tiring after a while. For me, I could get by pretty comfortably in person but on the phone it was a nightmare! I just didn't understand, but luckily I had some very lovely and helpful French friends who could help me out. The Netflix in France just isn't as good as in the UK and the USA! This is a petty whine but the cinemas are just more expensive! This is a very stereotypical struggle but the strikes can be really debilitating, especially on public transport. On my last working day in France I received a true French send off, with a strike making my 35-35 minute commute take over an hour and a half! Another stereotype but you would be surprised with what the waiters would say in French when I was talking in English to my friends! Banks can be a proper hassle! But I must say I was very lucky with mine and I would really recommend Britline as a French bank for those with a British or Irish address! Talking to a lot of people with English as a second (or a very impressive third/fourth/fifth) language has meant that my English has actually got worse! This is more of a struggle of coming home after living in France! But starting a sentence with "When I was living in France...." does make me sound super pretentious! 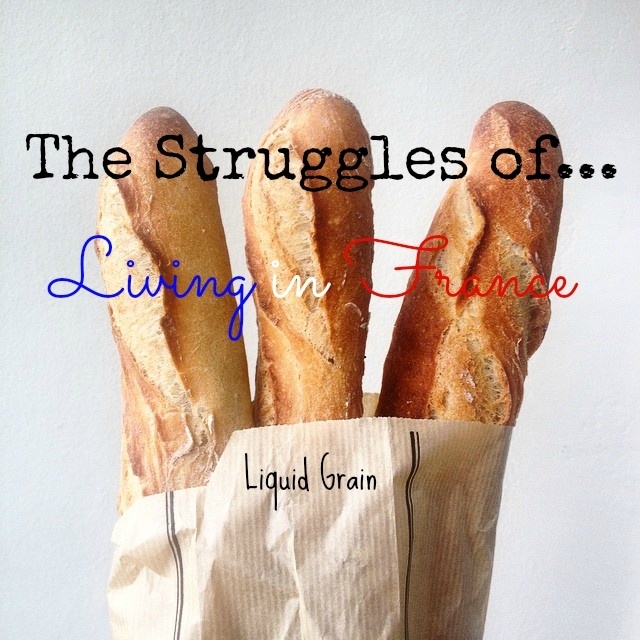 So that's my struggles of living in France- but don't worry I had an amazing time there! Have you ever lived abroad? What was your everyday struggles? Sounds like you got a pretty rough time there .. i hope you managed to put them all in their place... eventually! It was so good but definitely some rougher bits- I just wanted to show some balance on my blog! Yes yes yes yes! I just moved to Paris for my year abroad and have experienced all of these things!!! Though I am using a VPN to mask my location so I can watch Netflix - there's that at least!